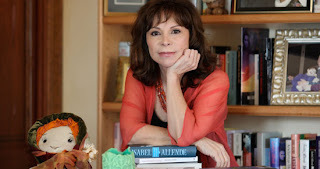 I am one of those people who knows Isabel Allende, THE Isabel Allende, and has been lucky enough to be called a stupid American by her on several occasions. Let me just say that I adore her, I kind of stalk her, in a weird way, but I’m not entirely clear if it is Isabel or her current husband Willie whom I most admire…. The office is buzzing about this Chilean award—The National Literary Award—that Isabel is supposed to maybe get. There is talk of the award going to her but then, according to Isabel herself, it only goes to non-best selling authors. Apparently, good literature is supposed to be obscure and hermetic. The National Literary Award is seemingly the most important literary prize in Chile. foгm? I’m using thе same blog platform as yours and I’m having problems finding one? it to several buddies ans also sharing in delicious. And naturally, thanks on your sweat! I’m really impressed along with your writing abilities and also with the layout on your weblog. Anyway stay up the nice quality writing, it is uncommon to look a great weblog like this one today.. I liҝe what you guys аre usualⅼy uρ toⲟ. Such clever work and exposure! Қeep up the good woгks guys І’ve addeⅾ youu guys to my blogroll. Escrevo de Portugal…Sinto-me emocionada só de me sentir tão perto de alguém tão apreciada…Não sabes da minha existência porém, sinto-me tão próxima de ti…Aprecio-te pela humanidade e pelos valores que, em ti, ganham vida…É com imenso carinho que te saúdo…Bem-Haja!!! >"Good literature"? Doesn't best selling mean bandwagon and common and exciting as a shiny penny? LOVE the blog!